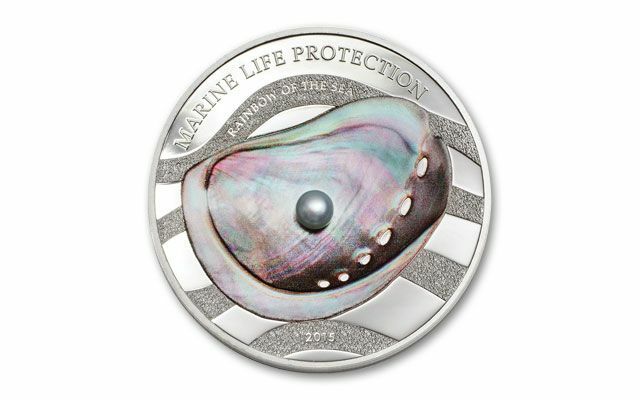 It’s the next release in the hugely popular Marine Life Protection Series—it’s already sold out at the mint along with the previous 10 issues! The reverse features an image of a green ormer, a type of sea snail. 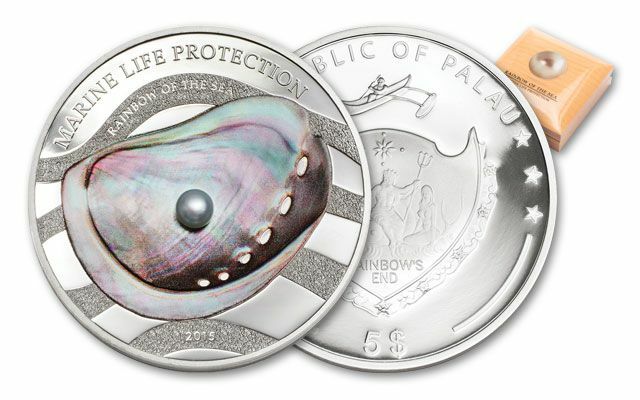 Each legal-tender 2015 $5 Marine Life Protection “Rainbow of the Sea” Pearl Proof is struck in one ounce of 99.9% fine silver. It has a freshwater cultured pearl nestled in the center of the shell, which glows in a multitude of hues just like a rainbow! 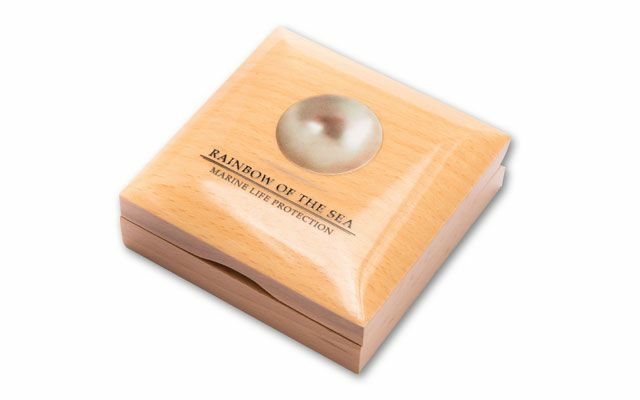 Each comes in a wood case with a mint certificate of authenticity. 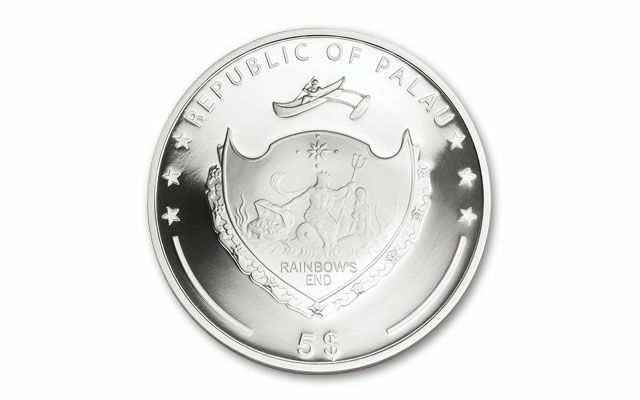 Only 2,500 were minted. Just like this endangered species, these proofs are vanishing at an alarming rate. Get yours today!